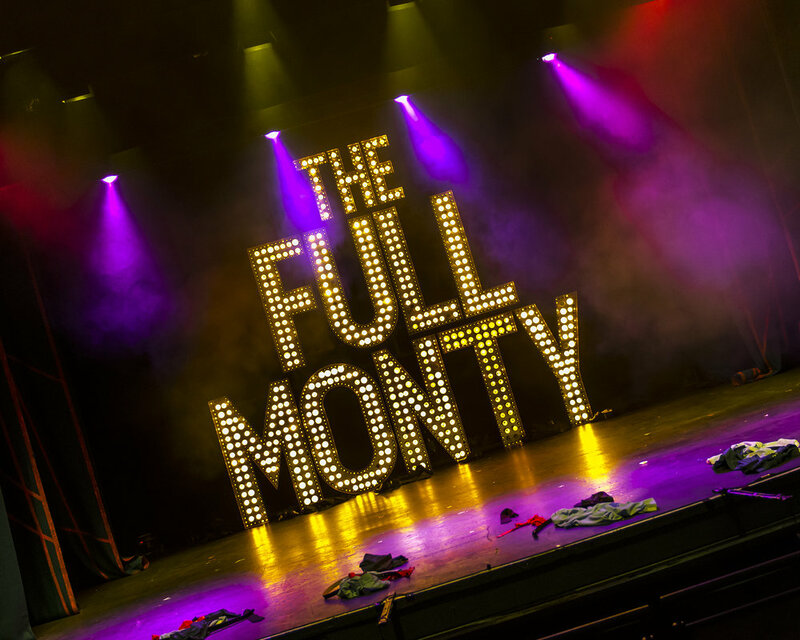 The Full Monty is the Americanised version of the hugely successful film of the same name. BATS have chosen the Broadway version of the show where the action moves from Sheffield to Buffalo, New York. It tells the story of six struggling steelworkers. In order to make ends meet they decide to learn to dance and strip i.e. to do The Full Monty – i.e. everything off! The set: street scenes, interiors were effectively created and of high quality and cleverly designed. The “Gents” toilets at the club was ingenious. There was minimal disruption during the scene changes. Great and convincing use of props. The costumes were excellent, with great attention to detail and were in keeping with the characters and story. And this wasn’t just the strippers’ costumes – much thought had gone into the costumes for the women, showing their sassy side – many items being tight and bright! The lighting was superb: rising and dimming when necessary, and the blinding flash of backlight at the pivotal moment was perfectly timed. Most of the sound was excellent with voices clear and blended well with the live music. My companion and I both felt that the screaming of the excited women (at the prospect of a stirp show) at the opening of the show was at an uncomfortable level and pitch. Director and Choreographer Martyn Knight demonstrated his experience and talent as he drew great performances from the entire cast. This was a great example of ensemble performance. The six strippers, led by Paul Morris as Jerry, brought great warmth to their characters as men who found friendship and self-respect through the group. Kathy May-Miller was simply stunning as Jeannette, the chain-smoking piano player drafted in to accompany the strippers. Gavin Brooker deserves special praise having the difficult job of opening the show with a strip – a challenge he rose to with seeming ease. The music, under the direction of Julie Dance , created a solid sound giving the cast superb lead. The show worked well due to the charisma of the leading men with a terrific ensemble supporting them. 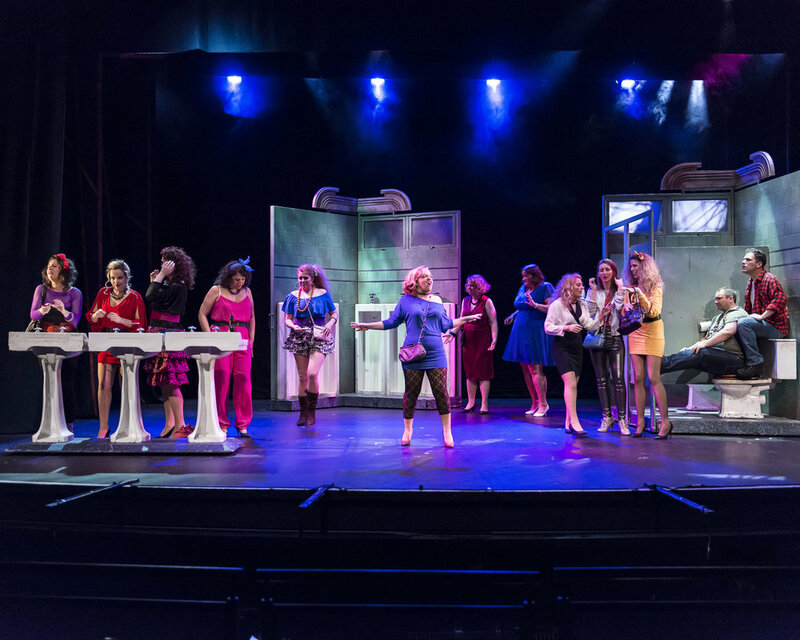 There were no weak links in this show that had was more to it than stripping men and screaming women: depression, fathers’ rights, homosexuality, unemployment and suicide – all covered with toe tapping songs and dances to the obvious delight of the audience.